When it comes to making sure your house makes the right impression and has the “homely” feel, your shutters, blinds, and screens can actually have much more of an impact than you may realize. If you are looking for quality window treatments that are affordable and durable, come to Preferred Glass & Windows! Offering shade, screen, and shutter installation, we make sure our customers are completely happy with our products and services. We have been serving the Southern California community since 1969, remaining leaders in the glass and window industry for the area. We understand our customers’ expectations and make sure they are completely satisfied with whatever shutters, blinds, or screens they have installed in their home. 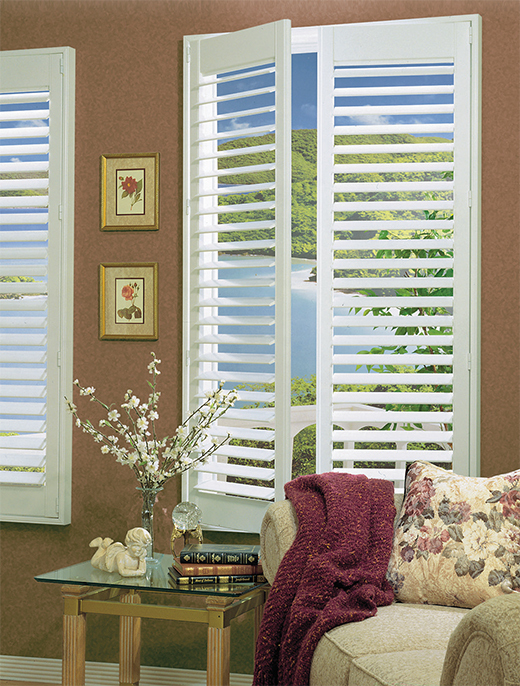 Ready to get custom shades, screens, shutters, or blinds to fit your decor and budget? Call 888.495.7975 to request a quote! 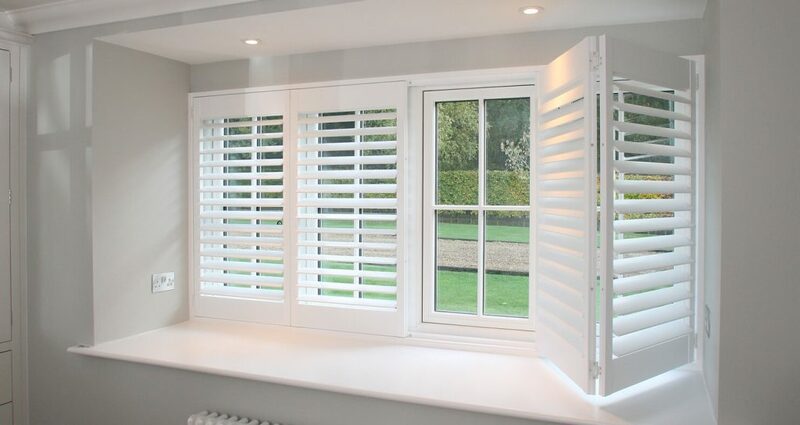 We use Ray Ev’s traditional wood shutters, which are made 100% from Bass Wood. This is a superior wood, as it is one of the straightest of hardwoods available and can be sanded, painted, or stained to a smooth, pristine finish. Ray Ev’s synthetic shutters are made of superior cellular synthetic material. It is extruded into solid molded pieces, then cut and assembled to your custom requested size. This is sturdy material that doesn’t peel, warp, or crack with time. It is also water resistant, which means it is the ideal option for kitchens, garages, bathrooms, and other locations. If you enjoy leaving your windows open in any weather conditions, synthetic materials may be the right fit. WHY GET CUSTOM WINDOW TREATMENTS? 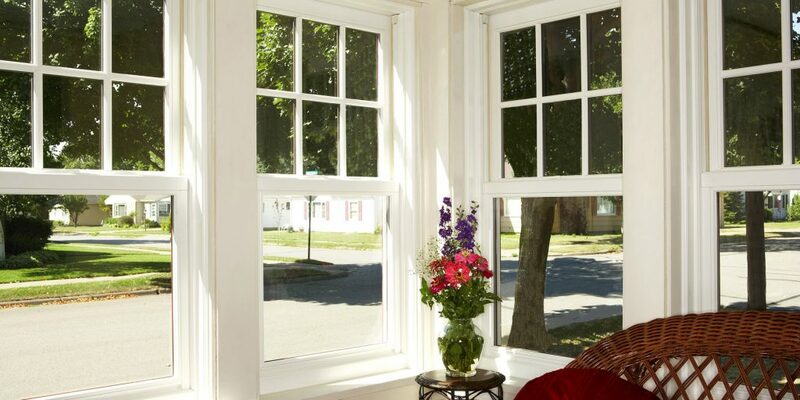 At Preferred Glass & Windows, we carry a range of window products. As the premier glass and window installers in the area, we can compliment any new window installation with our quality treatments. We also offer a variety of options when it comes to window screens, including products from C.R. Lawrence Co. to provide you with the perfect fit for your home. Your source for window treatments for more than 50 years, Preferred Glass & Windows is here to help you complete your project. We serve the Simi Valley, the San Fernando Valley, and the surrounding communities. We welcome you to come to our showroom during our hours to check out our extensive selection of superior products, from shades to blinds to window screens. You can always count on us for exceptional workmanship, premier products, and reasonable prices. We look forward to helping you install the right window treatment for your home. Call 888.495.7975 We also offer financing options.